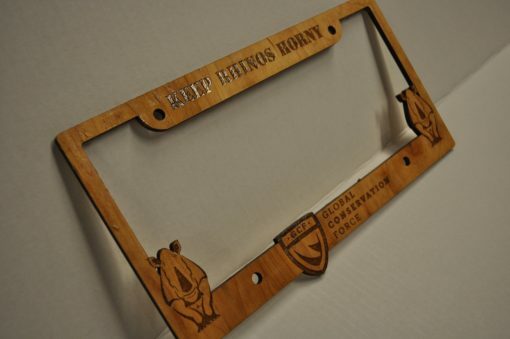 Show your love and support for at risk rhinos with this one of a kind license plate cover. 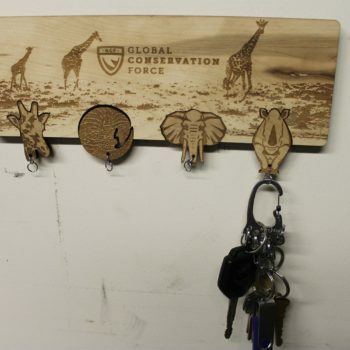 25% of all sales go directly to the Global Conservation Force. 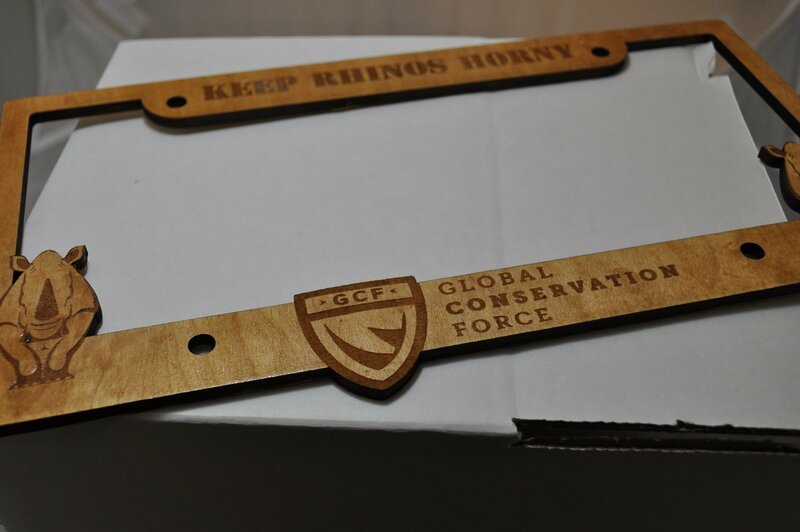 Rhinos are still in danger, and at the rate they are being slaughtered, they could be completely extinct within the next 10 years! 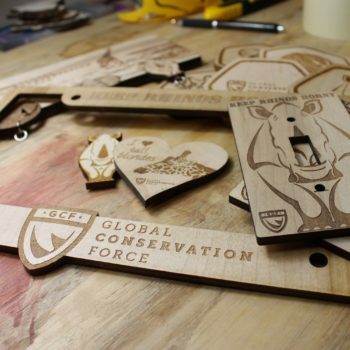 The Global Conservation Force is an organization doing it’s part to fight the poachers and educate people. 25% of your purchase goes directly to them. So do your part. 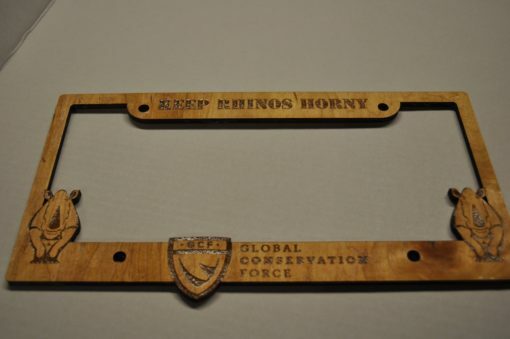 Buy this cool item, which will not only help spread the word of the cause, but will allocate funds to an organization who’s focus is the protection and preservation of endangered animals worldwide. 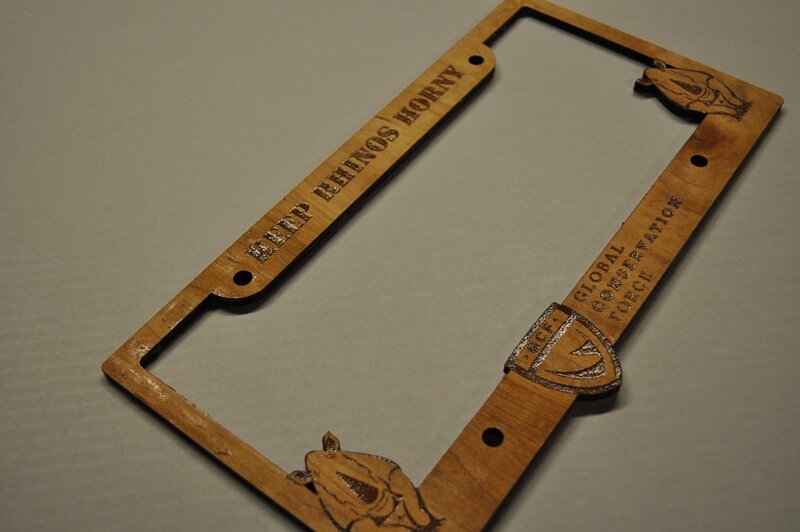 This license plate cover is made of quarter inch maple. It is then finished with an epoxy glaze, which not only makes the engraved text shine, but allows it to hold up against the elements. Stay tuned for a plastic/acrylic version in the future. 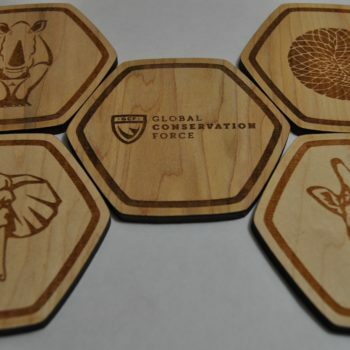 You can also find the endangered animal coaster set on this website, where 25% of the proceeds also go straight to the GCF. This item typically takes 1-3 business days to be made and shipped.